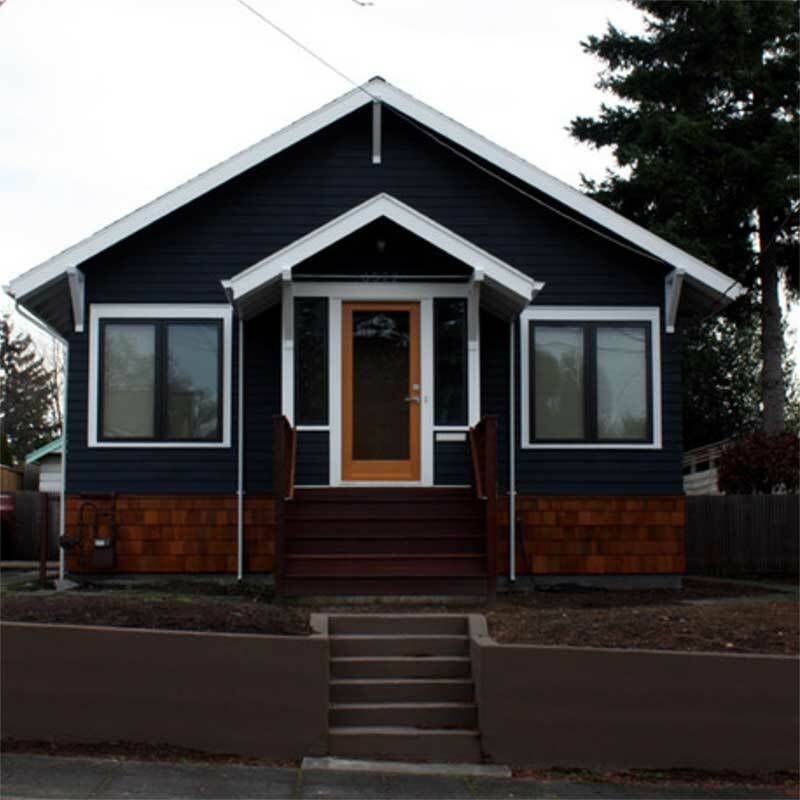 Cheery yellows and creams have their place as exterior color choices, but if you are looking to really stand out from your neighbors think deep, rich black. Haunted? Too spooky? Think, again. 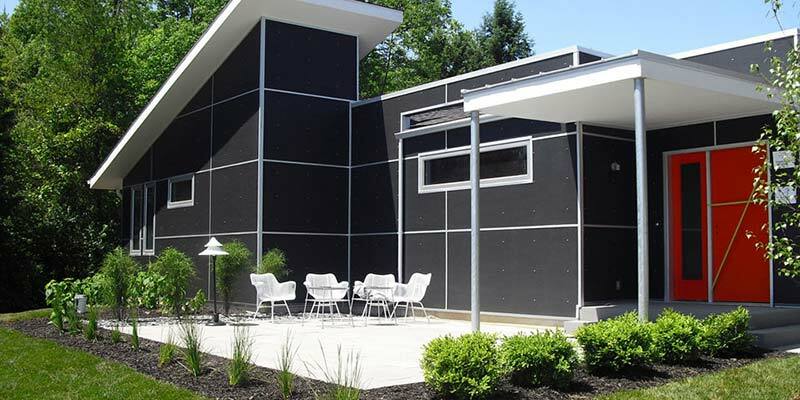 Modern and sleek homes really speak out loud when you paint exterior black. Elements of the home, special architectural features, a hot –colored door and lighting choices really pop against a black backdrop. 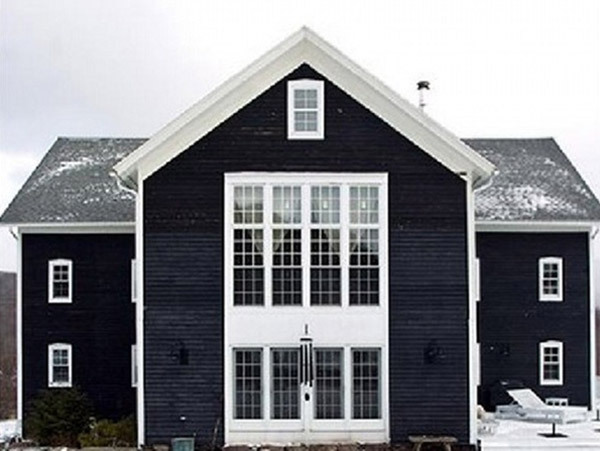 Black is an excellent choice for adding distinction to your property. 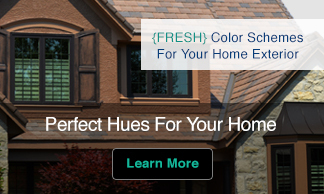 It’s also a wonderful heat absorber and can be a great green choice for reducing heating costs. 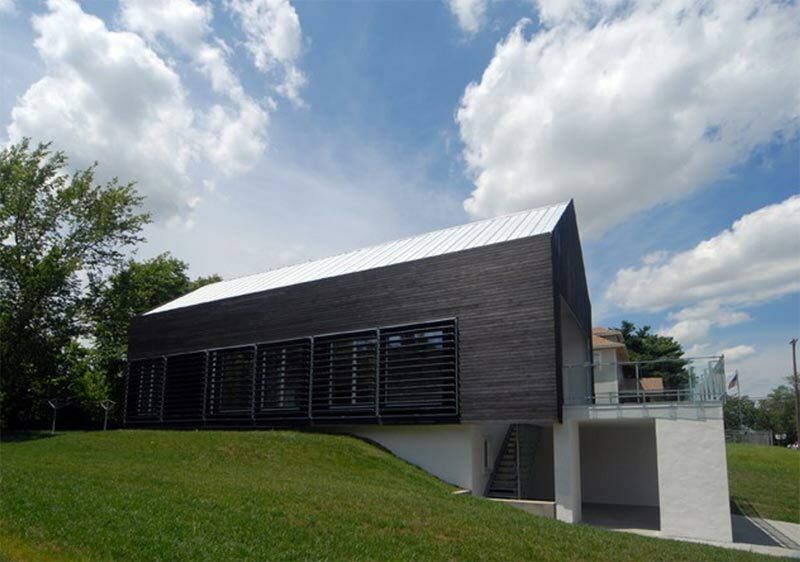 Incorporate stunning and on-trend Japanese Burnt Cedar Siding in black for an extra special statement. 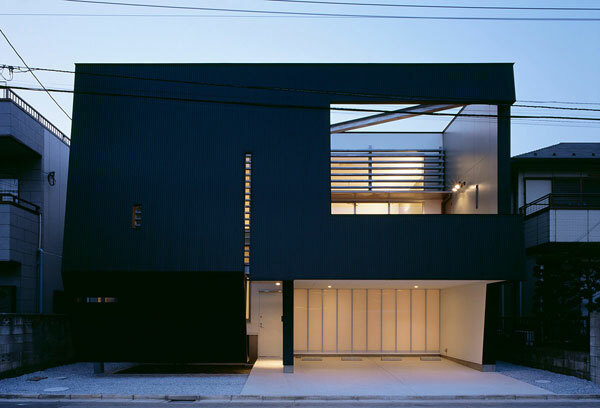 Any design style can benefit from deep black exterior. 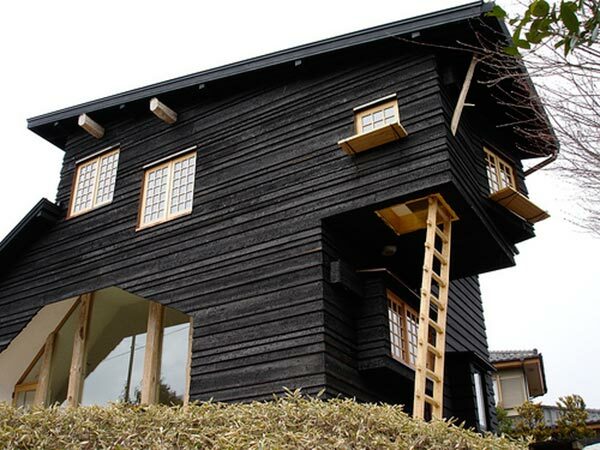 A small home seems larger. 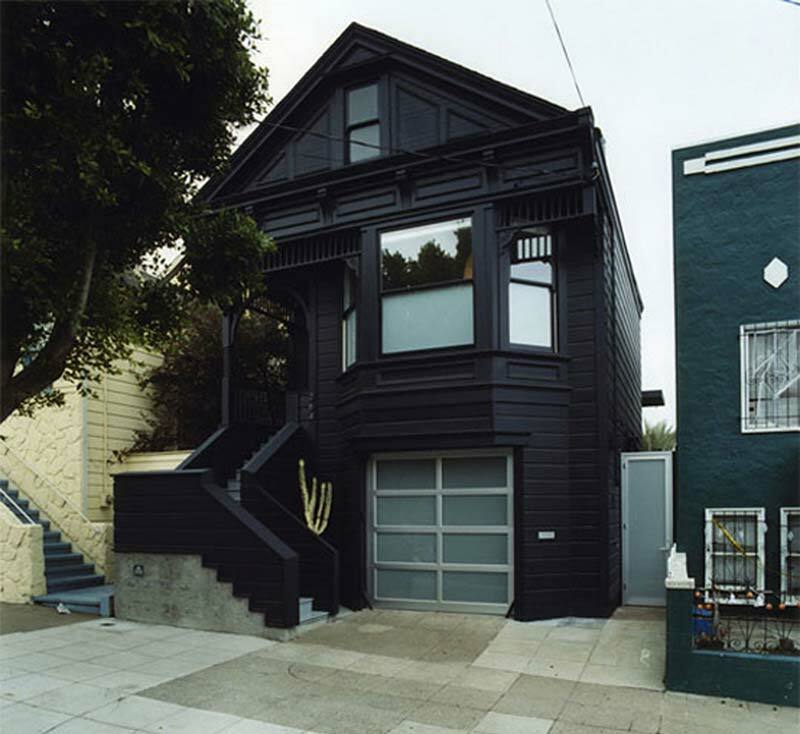 Even an old Victorian home is brought into contemporary life with dramatic tones of black richness. Give black a beautiful try and be the next bold one on the block! 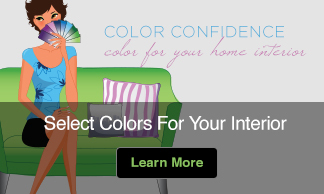 I Love your Website!!! 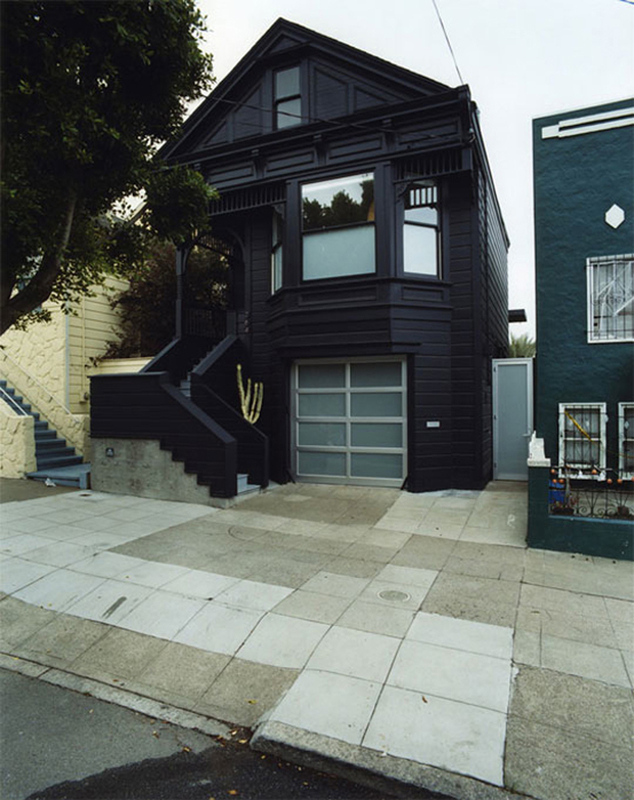 And because of the first house I am going to Paint my house Black!!! So thank you!! Thanks for your nice words, Sam. I’d love to see pictures of your home once painted!